After the usual teething problems setting up electronic equipment at the start of a research mission, we (Gwilym and Jeremy (scientists) and Ade (boat driver)) finally made it away from the M/Y Golden Shadow to begin the Fiji ground truthing survey. As part of our work, we collect depth data continuously underneath the survey vessel. We slipped into the familiar routine – I was attaching the transducer(see photo below) to the transom of the boat, while Jeremy set up the computer and activated the sounder. Ade, in his usual, understated manner calmly stated “look a whale”. “Yeah Right!” I said completely engrossed with tightening down a couple of nuts with a spanner. But all of us are fallible – it wasn’t a Right whale, it was a dwarf minke (Balaenoptera acutorostrata)! The dwarf minke whale circled the boat for ten minutes, occasionally blowing at the surface and rolling as it swam under; it was completely unperturbed as we slipped into the water to get a few photographs. What a way to start the expedition! 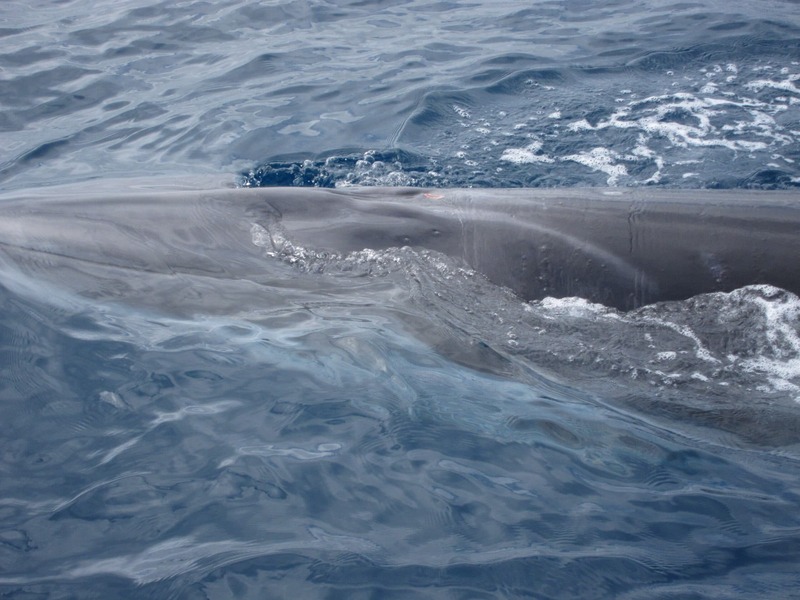 Why are Dwarf Minke Whales in Fiji? Dwarf minke whale swimming with our ground truthing team. 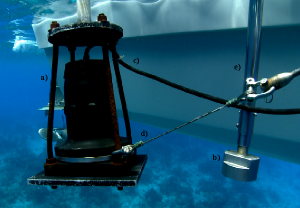 Acoustic sub-bottom profiler (a) and acoustic depth sounder (b) deployed from survey vessel’s side. For the sub-bottom profile, a cable (c) transmits data to a laptop aboard the boat while a second cable (d) stabilizes the transducer during travel along the transect line. The cable for the acoustic depth sounder is housed within the metal pipe (e) attached to the boat. So why are dwarf minke whales in Fiji anyway? There are no definitive answers. 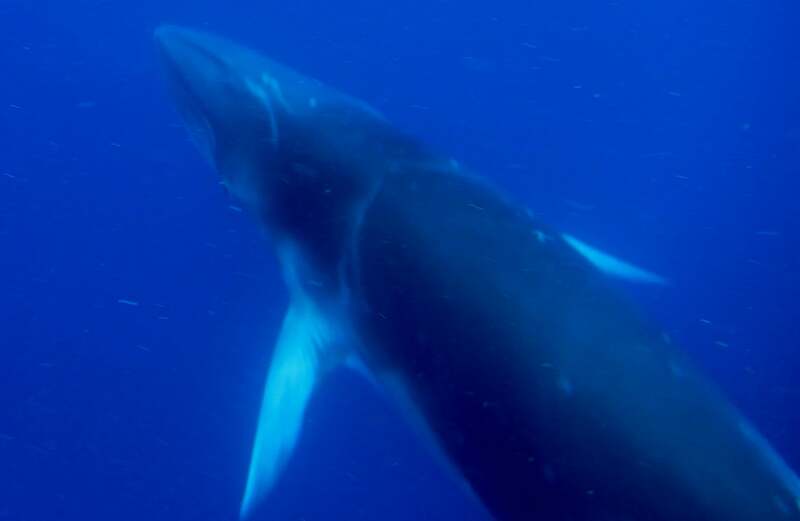 Some scientists suggest that dwarf minke whales migrate to Fiji’s tropical waters during the winter where they give birth to calves then return to their feeding grounds in Antarctic waters in the spring. Others believe that there may be local resident whales. We won’t know the answer without further research. Dwarf minke whale surfacing for air. To follow along and see more photos, please visit us on Facebook!